Almost 20,000 votes later, the Razer DeathAdder emerged from our first Moneysaver Co-Op as your clear choice for best gaming mouse, taking nearly 50% of the popular vote. 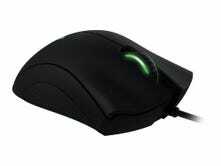 The DeathAdder actually has one of the lower MSRP's on the list of nominees, and also comes in a left-handed version. 6400dpi, 5 buttons. 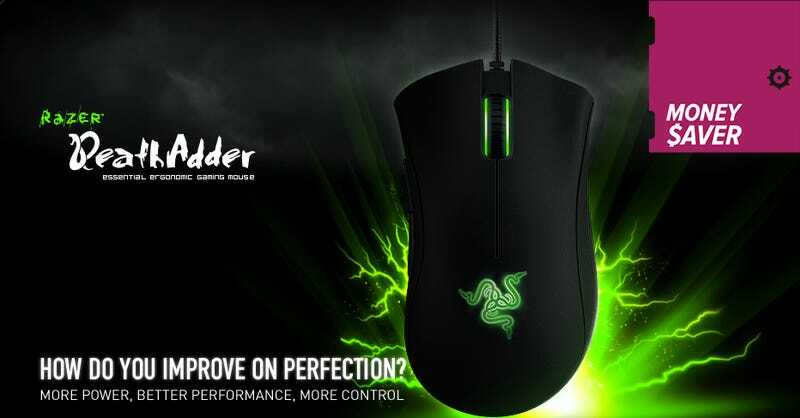 If you like the DeathAdder but really prefer wireless, the Razer Mamba is the way to go. There was a fair amount of internal handwringing about whether or not to group the Logitech G series, Mad Catz R.A.T. series, and Corsair Vengeance series mice into group nominees, but in the end it didn't matter, the DeathAdder still handily won, with its MMO-oriented sibling, the Razer Naga, taking second place.